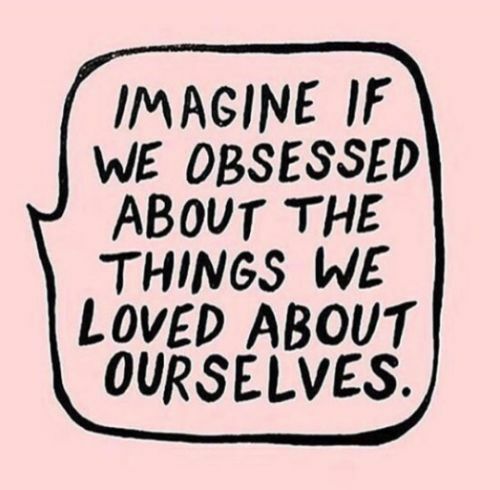 Recently I’ve felt compelled to write a little post on the subject of body confidence, and whilst it isn’t something I’ve ever really discussed on here in much detail, I know its something that affects a lot of us, particularly given that blogging is such a public thing to do. Its something that is being talked about more and more in this industry, what with the whole issue surrounding comparison that seems pretty rife right now. I will come out and say it, and this may come as a little surprise to those of you who don’t know me on a personal level, especially since the majority of my blog photos are of me, but I am not in the slightest bit confident with my body at the moment, nor have I been for a long time. We all have our hang ups, and mine are fairly broad, but I absolutely love blogging, and I love fashion, so I kind of have to push myself out of my comfort zone and forget the flaws when it comes to writing about the things I enjoy. I guess its almost like a coping mechanism or ‘therapy’, so to speak, where posting photos of myself talking about a particular thing I’m wearing, forces me to focus on the good rather than what I see as the bad. I’ve always struggled with sticking to healthy eating plans or diets because I’ve not got a lot of willpower when it comes to food (give me a cheese burger or a huge bar of chocolate over an hour in the gym any day) but since starting the Results With Lucy plan a little over 12 weeks ago, that has started to change. I’ve started to eat a much more varied and much more nutritious, balanced diet without leaving myself feeling hungry, I work out four times a week and I’ve started to see the inches and a few pounds slowly fall off in the process, which definitely helps in the body confidence department, but over the past couple of weeks I’ve had a few knock backs which have really taken the wind from my sails, and those knocks have come from our trusty high street retailers and issues with sizing. If you go by my measurements, I’m pretty much slap bang in the middle of a size 10 and 12. In tops, I generally take a size 10 and in trousers, a 12 as I carry most of my weight around my hips and thighs. You could probably say that my body is hourglass in shape, as I’m reasonably in proportion, but verging towards the pear shaped side of things. So if on paper I’m a 10-12, why, when on a quest to find a perfect pair of jeans, do I end up trying on things one, if not two sizes bigger than that and come away feeling so disheartened? The problem is, that our favourite retailers are all putting us in different size brackets. In the space of a week, I’ve fit perfectly in to a size 10, a size 12 and a size 14 pair of jeans in three different retailers. I’ve gone from elation at the fact I can still easily fit in to a size 10 pair of skinny jeans, to completely mortified that I’ve had to go up two sizes in another store for a pair of boyfriend jeans (that are supposed to be oversized!! ), when I usually buy a 10 in their pieces. Then there’s the new Zara size calculator, which determines which size you should order based on your weight and height. This put me at a large, which in Zara’s size guide is a size 14 – a size I have NEVER bought in Zara as its always come out too big on me. I have always bought either small or medium. (For disclaimer purposes, can I just say that there is nothing wrong with being any size. I’m just declaring sizes here to demonstrate the problem that I’ve been having with finding clothes that fit). Because of the dilemma I’ve faced over finding jeans to fit me over the past couple of weeks, my confidence in my appearance has really been affected. There have been a couple of outfit posts scrapped because I hated how the photos turned out, and I’ve found myself scrutinising myself more than ever in each and every picture. But do you know what? I’ve come to realise that it isn’t me that’s the issue. I’ve read so many articles online and in magazines the past week that are calling out retailers for how they differ so much in sizing, and how girls can go from being one size in one store, then two sizes bigger in another. The thing we have to remember is those sizes that we’re fitting in to are just numbers, and don’t define who we are or how we look. It’s just the same as the numbers on the scales – I’ve lost a lot less weight than I thought I would during quite a gruelling 12 week health and fitness plan, but I feel healthier and have lost enough inches to know I’m doing well, so that’s enough for me. I just have to keep working on the body confidence and hopefully find it in myself to love my body no matter the size, flaws or hang-ups, and no matter what the number on the clothes hanger is! Have you experienced anything like this lately? What are your tips for boosting body confidence? Great post! You go girl! Glad to see you're feeling better and seeing changes. My weight and body image has been a life long issue, I too struggle with diets because I literally have no willpower, I love food too much! But right now, I'm just trying to focus on eating small portions and training 6 times a week at the gym, I focus on how I feel, instead of what the scale says!